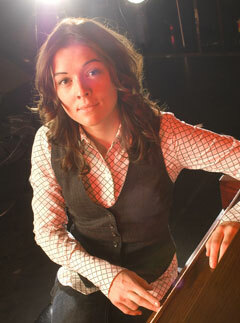 Brandi Carlile is far from your typical young singer-songwriter. Her rich, expressive voice and nuanced lyrics infuse her music with the kind of timelessness that most 26-year-olds might not even attempt. Since her 2005 self-titled debut, Carlile has toured with such artists as the Indigo Girls, Tori Amos, and Shawn Colvin in addition to headlining several tours of her own. Her songs have been showcased on Grey's Anatomy and other popular television shows, and Rolling Stone named her an "Artist to Watch." The CLP280 sounds and feels as true to a piano as you can possibly get--and it still looks like an upright. Carlile's music spans styles from classic country to pop and rock. "I've always been inspired by other singer/songwriters--especially Elton John and Bernie Taupin," she says. "But I've never been good at compartmentalizing music into genres. The way I used to describe my favorite artists wasn't by genre. To me, Johnny Cash was rock and roll, and Bob Dylan was country." 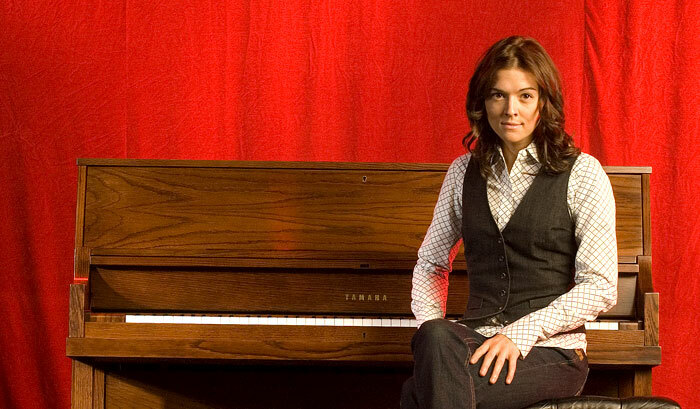 On her second studio album, 2007's The Story, Brandi and her band--including drummer Matt Chamberlain and twins Tim and Phil Hanseroth on guitar and bass respectively--worked with producer T Bone Burnett in an eleven-day marathon recording session in Vancouver, British Columbia. The resulting disc captures the intensity and directness of Carlile's live performances. Carlile had the album's "live" approach in mind from the start. "I had these ideals and concepts about recording music live," she recalls. "I had a plan in mind for going into the studio and making the record with the twins. I knew where we were and where we wanted to be, but I didn't know the steps to take. I thought we'd just figure it out--but talking to T Bone, I realized that he had pretty much written the book on what I was trying to accomplish." Burnett's production approach merged perfectly with Brandi's musical ideals. "He's an amazing producer, and a very interesting character," she says. "He creates an environment just with his presence. I don't think he records any one way--he doesn't have a formula, per se. His production style varies with the artist, which is a total gem of a thing to find." But T Bone was also a valuable musical mentor, Carlile reflects: "It was kind of a history lesson with him. I learned all kinds of things about performing in the studio. I learned about vintage instruments, and Delta blues. Recording with him, I felt like it could have been any point over the last century. And it's not just because he dresses like a Pilgrim!" On her current tour, Brandi plays a Yamaha CLP280 digital piano. "I love it," she enthuses. "The CLP280 sounds and feels as true to a piano as you can possibly get--and it looks like an upright. I love the woodgrain finish. It's just an inspiring piano to play on. I don't just play it in the show; I play at soundcheck, and I practice all day with it. It's been really good for me to have around." Carlile also plays Yamaha's MPU1 piano. "I love Yamaha's upright pianos," she says, "and I really wanted to bring one on this tour, but it just didn't work out. I really seek out that warm, classic kind of piano sound. I'm not much of a piano expert, but I do know that I'm partial to Yamahas." At first, her new keyboard was both a treat and a technical challenge, Brandi admits. "I usually write on guitar, and playing piano doesn't come naturally for me. I have an upright at home that's 108 years old--so I learned to play based on which keys are yellow, or brown, or missing the ivory. Like, 'This is the song that starts on that yellow key.' So to take this piano out on the road, I had to practice every day!" Though most aspects of live performance came naturally to Carlile, she initially found one detail counterintuitive. "It was hard for me to keep my eyes open, physically," she confesses. "I wanted to close my eyes! If you sing with your eyes closed, one of two things can happen: You can put a literal wall between you and the audience, or you can give them a voyeuristic perspective on where you're at emotionally. When they're watching you and you can't see them watching, that has its own intensity." And intensity, notes Brandi, is the key to a great live show. "A performance is an exchange of energy between the performer and the audience. It's a give-and-take thing that requires active participation. That doesn't necessarily mean clapping your hands and stomping your feet--sometimes it just means making yourself emotionally available to the performance. I like to make people realize that to catch everything, they're just going to need to watch!"